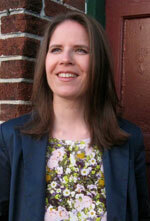 Hoop earrings are nothing new. Arguably, their heyday was back in the late 80s/early 90s when oversized door knockers ruled. But hoops have made their way back into fashion with an ever-growing list of celebs and social media influencers sporting the circular stunners. What makes hoop earrings so appealing? Well, for starters, they’re easy to pair with almost anything, from peasant blouses to maxi dresses to band tees tucked into paper-bag-waisted bottoms. You can even wear a pair with a swimsuit while chilling oceanside. This is one of those cases where size does matter, though. Plan on saving your shoulder-sweeping hoops for collared tops and dresses; medium-sized ones go great with athleisure looks or off-the-shoulder pieces. Opt for tiny hoops if you’re also planning on working in a headband and shades. 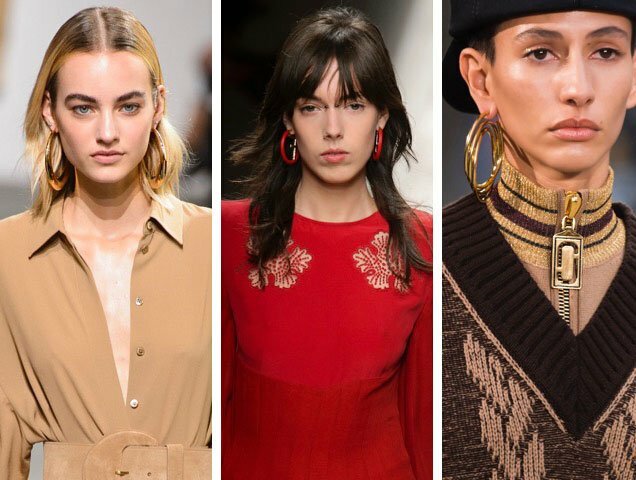 Hoops were hanging off the lobes of many a model at the Fall 2017 shows. Michael Kors’ golden versions were oversized and thick, while Fendi favored more colorful hoop earrings. But Marc Jacobs outshone them all by mixing things up with layered hoops, hoops acting as key rings and textured hoops guaranteed to turn heads. Our favorite stars have also gotten back into hoops. 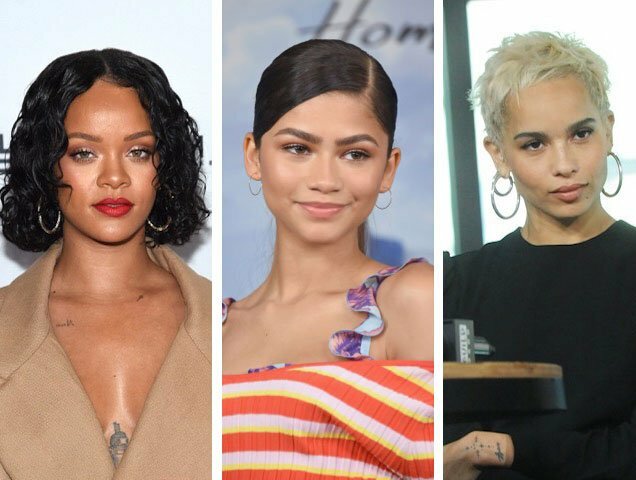 Traditional outsize and medium hoops reign supreme, but a few brave souls have doubled down on the trend by stacking hoops (see: Zoë Kravitz’s unique double hanging trick above). You can also place several hoops in a row, connect one via your cartilage or even use it to flaunt your conch piercing. 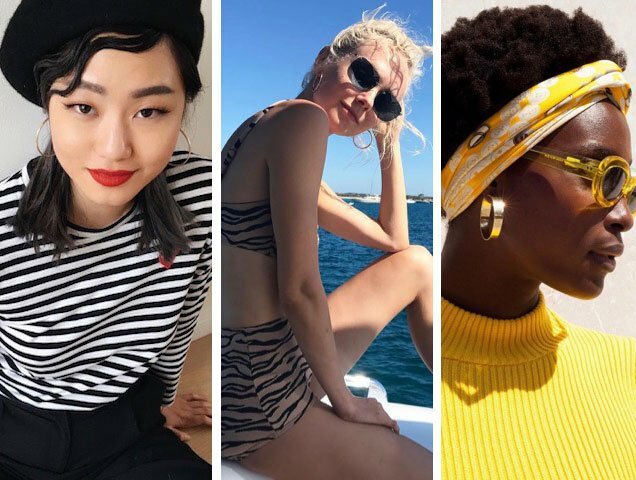 Now that you know this classic accessory trend is making a comeback (or never left, for many of us), you’ll need to pick up a fresh pair. We encourage you to think outside the circle and select hoops boasting color, wrapped fabric, spikes, and more. With that in mind, shop our 21 favorite hoop earrings below.